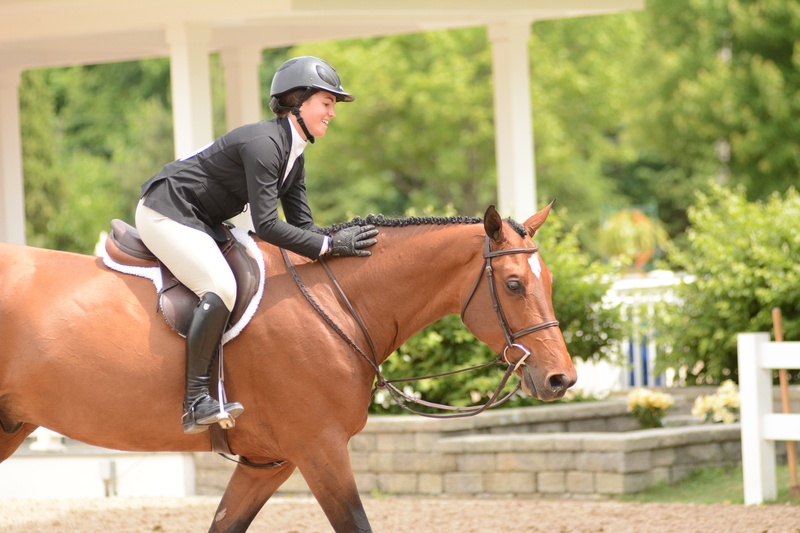 Gia Gulino and Cappello are already qualified for both junior hunter and equitation championships. Photo by Andrew Ryback. Oswego, IL – April 27, 2015 – Meet 16-year-old Gia Gulino of Saint John, IN. Gulino trains with Tina Judge-Boyle at Judgement Farm in Oswego, IL and is on track to hit some major championships this year thanks to the Judgement Farm training program. Gulino and her mount Cappello, a seven-year-old Dutch warmblood imported last year, show in both the junior hunter and equitation divisions. So far this season, the pair has already qualified for the Maclay Medal Regionals, the USEF Pessoa Hunt Seat Medal, the Hunterdon Cup, Junior Hunter Finals and the Devon Horse Show. The combination currently stands 14th in the country in the Younger Large Junior Hunters. Most riders have separate mounts for the equitation and hunter divisions, but Gulino and Cappella conquer it all. The pair came off of a successful start together in 2014, ending the season with multiple Junior Hunter Classic wins, Junior Hunter Championships and a trip to the National Horse Show for the Maclay National Championship. "The course was tough, especially for a young horse," said Judge-Boyle. " But I wasn't worried about them handling the course." The team showed Cappello in the 2'6 at Ledges in February of 2014, moved up to the 3'6 at Brownland in April and in November the same year, jumped around the Maclay Nationals course with no problem. 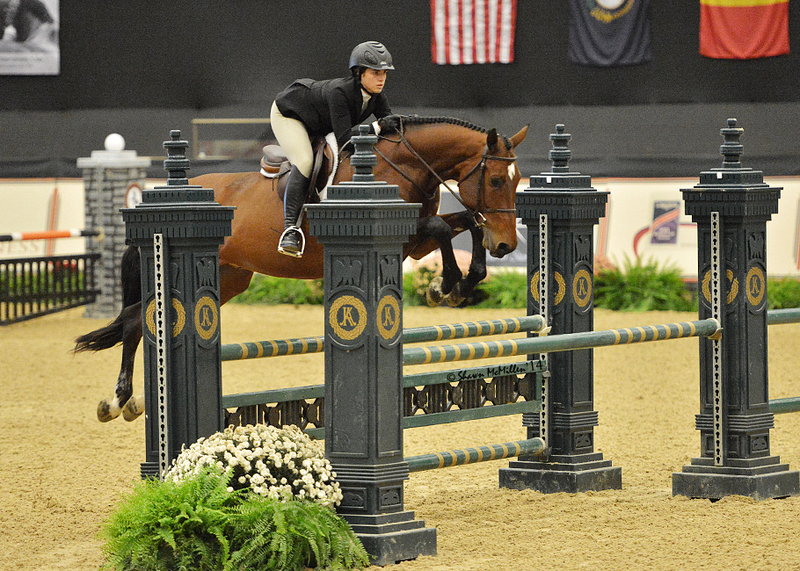 Gulino and Cappello at the National Horse Show in 2014 for the Maclay Medal Finals. Photo by Shawn McMillen Photography. Gulino has had a successful career since starting with Judgement Farm in 2012. Trainer Tina Judge-Boyle continued to move Gulino up the ladder into the Children’s Hunter division where the young rider showed Bennett, a five-year-old, to win the SmartPak Children’s Medal Midwest Finals. 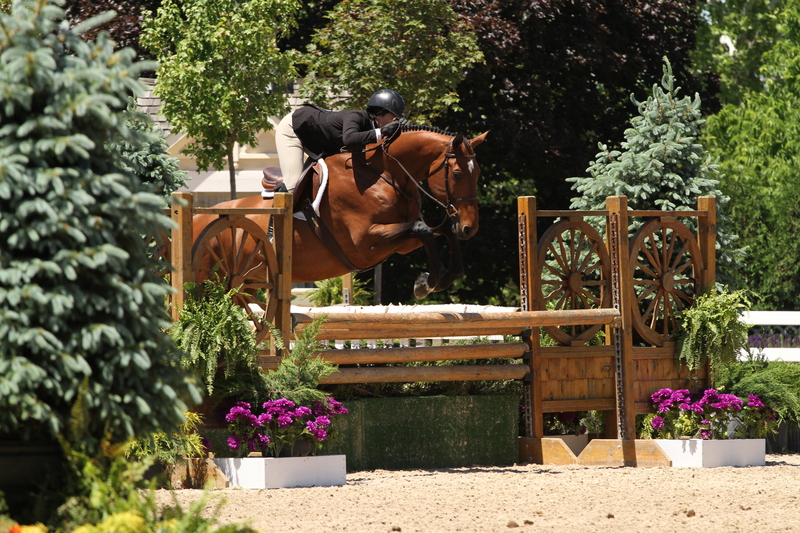 The pair added numerous Zone 5 Equitation Championships and IHJA year-end Reserve Championships to their resume along with qualifying and showing in the Children’s Hunter Finals at the Pennsylvania National Horse Show and the National Horse Show in 2013. "Gia is home schooled so she is able to ride multiple horses a day and concentrate on bringing along 'Danny'," added Judge-Boyle. "Gia has specific goals and is determined to reach them. She is calm and cool at the in-gate and has rides her best when the competition is tough." Judge-Boyle continued, "Gia is the first to lend a hand at home and the shows and loves to help me on pro days at the shows whether it's warm-up riding or assisting the grooms at the barn. She is always there to cheer on her fellow teammates with encouraging words." Gulino and Cappello. Photo by Andrew Ryback. Gulino is looking forward to competing in the equitation and hunter finals this fall and the Devon horse show in May. "...seeing some of the top horses in the country will be really exciting," said Gulino. "Qualifying for Devon was an accomplishment in itself so I'm really just focused on having consistent rounds and hopefully getting a ribbon." Gulino and the Judgement Farm team plan to attend Chicago area shows along with Brownland, Pony Finals, Kentucky National, Minnesota Fall Harvest and the indoor circuit. Judgement Farm is a full service hunter/jumper training facility providing lessons, sales, training and showing. For a complete list of services, visit their website at www.judgementfarms.com or contact the farm at 630-554-6760.